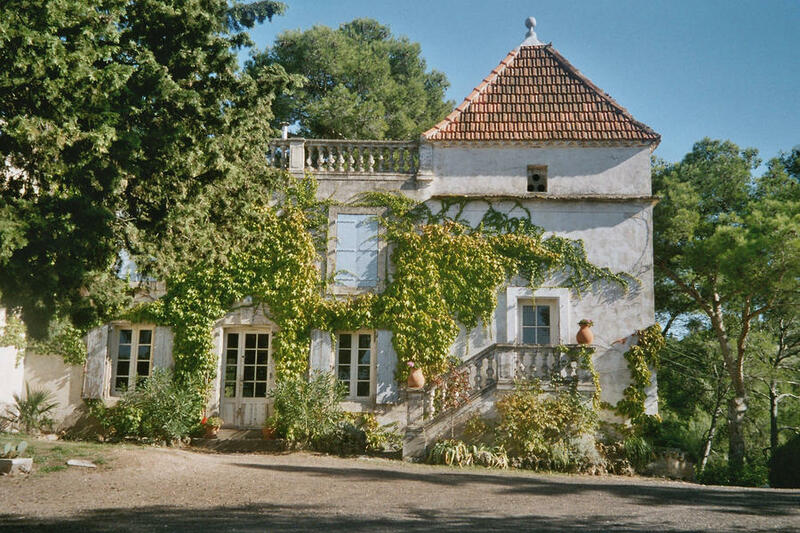 Isnt this picture of a Southern french pigeon house totally enchanting? Well, it certainly was full of mystery as well when my mother would send me, as a 6 year old child, to stay at La Bousquette with my great aunt, Tatie Charlotte and her husband Uncle Georges at Easter and at Harvest time. Both of them, born in 1897, were characters if ever there were any, as eccentric as they come. Poor Tatie had been raised to be a mouse, was afraid of her own shadow, was afraid of everything and its opposite. There was absolutely no limit to her imagination when it came to reasons to be scared. I will always remember looking all over the house for her during a summer storm. As a last resort we checked a closet and discovered her, white as a sheet, standing on a chair to avoid being struck by thunder. She had read in some woman’s magazine that this was the ultimate life saving trick. Her husband Georges had been a pilot in the first World War and was seriously handicapped as a result, but managed to be of good cheer. He taught us kids tennis and sailing, and more importantly became the self appointed pastry chef of the family. We adored him and his phenomenal meringues. Long before Peta, Tatie Charlotte loved & protected all animals and plants. She would take my hand ( clutch would be more like it, ‘ just in case ‘ I tripped! ) and we would go down a rocky path deep into the “garrigue”. For hours we would sit at the foot of a pine tree, transplanting succulents that she had carefully nursed during the winter, and I was expected to help her. Mostly I watched, transfixed, and awed by all the sensations that embraced me. Truly it is largely because of her, my shy, understated ever so insignificant old Tatie Charlotte, that I began to develop a visceral relationship to our Earth (through her land) , a passion for that garrigue, the local rocky, red, harsh earth and all its inhabitants: lavender, thyme, rosemary and the pine trees, oh these pine trees through which the wind whistled endlessly. God’s ways are indeed mysterious. A few decades later when my grand father Professor Pierre Fabre ( read more soon), best known as Ampe, what i called him as a toddler. Ampe asked me to import the Vin Biologique that he had just started making on that very land. I know that it sounds really lame, but really, really, Ampe had me at hello. How could I refuse to help him share the fruits of a land that held my child’s heart in its palm. And that is how I began to import these wines into the USA- The Domaine de la Bousquette back in 1980 , the first of their kind.More than anything, my company is this manifestation of a love story between me and Tatie Charlotte, her succulents and the pine trees on her garrigue..
Time goes on, does it not? Today we share our most recent vintages with you and hope that their spirit will also resonate with your own.